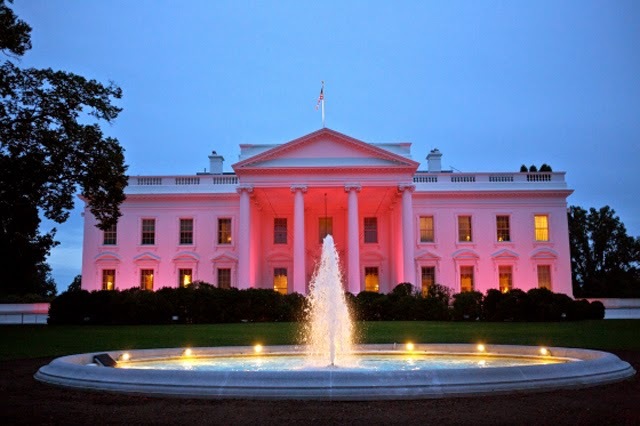 Today, October 13th, was National Metastatic Breast Cancer Awareness Day. Metastatic (or Stage 4) breast cancer is what happens when tumor cells leave the breast and set up shop elsewhere in the body, usually the lungs, liver, brain, bones, or skin. Of course, I'm weird and had spots in my lymph nodes and spleen. 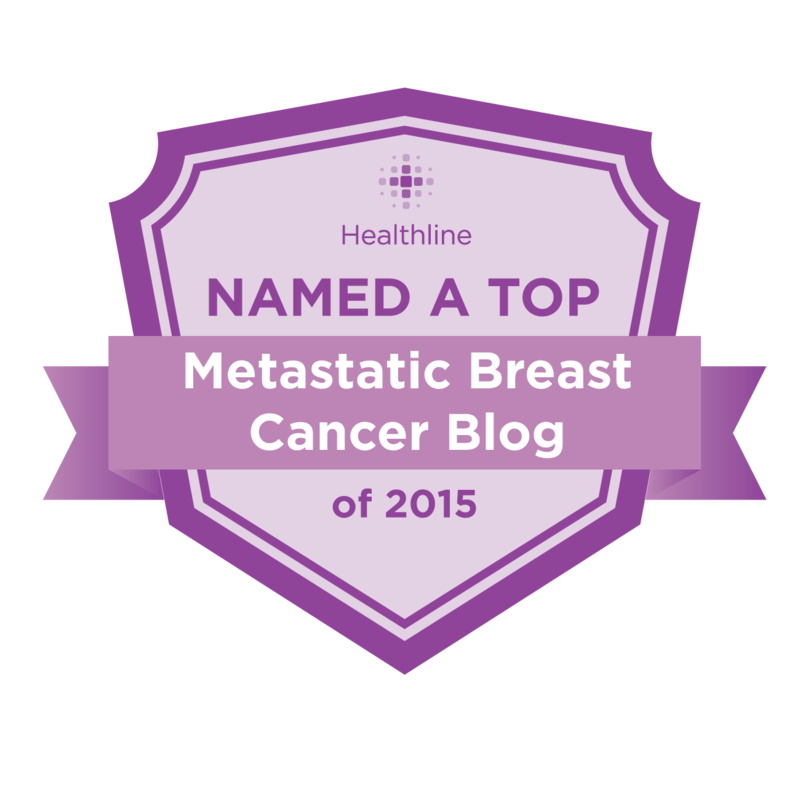 My links today are primarily focused on metastatic breast cancer. Consider this a dose of true October awareness. 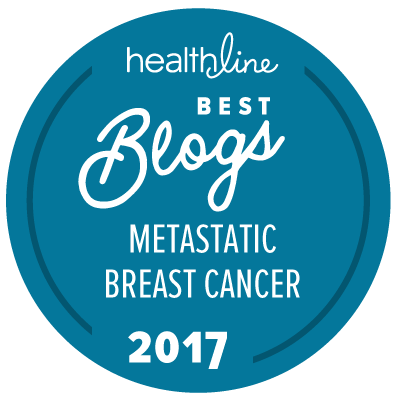 And if you're feeling so inclined, a great place to donate (even $5) is www.metavivor.org, which allocates 100% of its grants to funding research on metastatic breast cancer. Want to Learn More about MBC? Here's a Good Starting Point. "While MBC claims the lives of 40,000 women and men in America every year and 20-30% of those diagnosed with early stage breast cancer will go on to develop recurrent, metastatic disease, awareness remains low and only 7.1% of breast cancer research investments over the last dozen years were focused on MBC." "As hard as it would be to hear, metastatic cancer is not a death sentence. Survival rates for people with metastatic cancer varies from person to person, but a large study found that 15 percent of women lived at least five years after being diagnosed. Some women may live 10 + years beyond their diagnosis and since these studies were conducted, newer metastatic breast cancer treatments have become available. This leads us to believe that the survival rate for a metastatic patient has improved since these studies last occurred." "FACT: Breast cancer progression can occur regardless of treatment or preventative measures taken – Half of people surveyed said they believe breast cancer progresses because patients either did not take the right treatment or the right preventative measures, signaling the potential stigmatization of people with metastatic disease. In reality, breast cancer can spread quickly and inexplicably, regardless of treatment or preventative measures taken." Have You Heard? Young People Can Get Breast Cancer, Too. Prior to my diagnosis, I didn't realize women my age could even get breast cancer. Sadly, I was sorely mistaken. "According to the American Cancer Society, there are an estimated 250,000 breast cancer survivors living in the US who were diagnosed at 40 or younger, with around 13,000 new cases expected annually. While that accounts for less than 6 percent of cases in a given year, studies show that young women are more likely to have aggressive forms of the disease." Brought to you by the good people at Fred Hutchinson Cancer Research Center in Seattle. The profile of one woman who beat the cancer odds -- "And The New England Journal of Medicine published her story on Wednesday as a case history in the new genetic era. It concludes with a lesson that may help doctors treat thousands of patients with more common cancers, like breast and bladder cancer, and even find an alternative when a drug stops working." "As reported in The Lancet Oncology by Gligorov et al, maintenance capecitabine/bevacizumab improved progression-free survival and overall survival vs bevacizumab alone in the trial." I'm all for wearing pink if it brings some research dollars in or encourages a young woman who didn't think breast cancer could happen to her to push her doctors for more answers. But yes, yes, yes on the gimmicky and commercial. "For those of us who advocate for the “cause” – as I see it: the need for more breast cancer research and better care for all affected – a calendar-based theme feels gimmicky and commercial, even manipulative. At best, it’s useful for fundraising. In some parts of the world, including a few U.S. communities where believe-it-or-not stigma about having cancer persists, NBCAM may lead a few women who are hesitant to seek care for breast tumors to go and get it."